When I was in high school, our marine ecology class took a field trip halfway down the Baja peninsula on the Sea of Cortez to an isolated bay called Bahia de las Animas. During the trip, a number of the students from the swim team, showing much more backbone than I, dared to swim around the two small islets located about a half mile from our shore camp. Surely, I thought, the population of hungry beasts would be dense between the shore and the two islands, waiting for some dumb gringo to flail aimlessly into their element. Whether it be a stingray hitting them on their first step into the sea, a school of hammerheads, or perhaps they would meet their demise from the wayward fluke of a fin whale. Regardless, the outcome was the same, and it wasn't pretty. So I didn't want any part of it. "You only see what you know." Wise words from a wise biology teacher, Marv Sherrill. Of course, what I knew at that time was what I learned from TV and movies, such as Jaws; that blood thirsty man eaters were hunting humans and attacking at every opportunity. So naturally that's what I saw as reality. That's also part of my self centered nature, that somehow all sea creatures would be interested in ME, when in reality they can probably take me or leave me, as long as I don't harsh their mellow. What I learned from our Baja trip is that a little knowledge about our environment goes a long way in shaping our reality. I have still hung onto some of those fears of swimming in the open water since that time. However, it is less about the creatures, and more about the nature of the ocean and my own self confidence that straddles the line between respect and fear. 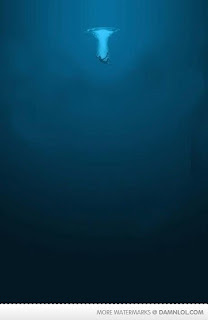 Most of that fear stems from the fact that I've never actually swam in the open water. Sure, I've surfed since I was very young, I've braved shore break for hours on end, and I even scuba dive on occasion with no problem. But there at least I have the safety of a surfboard, the shore, or a buoyancy control device close by should something go wrong. But a half mile off shore with nothing but my swim trunks? That's where the fear of panic sets in. "What if I can't swim back? What if I get too tired? What if I'm in over my head?" Being that I would have to get over these concerns in very short order, I decided to meet up with a group of open water swimmers this past weekend at Corona Del Mar beach for an open water swim around a number of buoys. I was quite intimidated at first. The fears listed above came to mind, not so much that I would drown, but that I would make a fool out of myself eventually having to be dragged back to shore defeated and humiliated. But these fears are rooted in unknowns. While we only see what we know, we also tend to fear what we don't know. One of the main purposes of this experience is to overcome my fears and experience more out of life, lest I miss out on something that could have been. Contrary to my fears, the group was very welcoming, and I was able to keep up with them, logging about a mile and a half. The wetsuit I wore easily kept me buoyant, and nary a man eater in sight. This was huge in building my self confidence, and I feel like one of my last hurdles has been crossed. I also feel that many fears are exaggerated, and they can be overcome by taking the next logical step to building respect and understanding for what is feared. In this case it was getting in the water with others who had the experience. I find it fitting that I am conquering my fear of open water swimming while preparing for a 2.4 mile swim in the Sea of Cortez, the same sea I once looked upon with trepidation back in high school. Now I look upon it with respect, eagerness, and excitement. I'm very excited that you did that swim. That was quite an accomplishment!! Great job. How nice that you found a nice group to go with. Wonderful. Keep it up you are doing amazing. Thank you for the encouragement! I'm really enjoying it, and grateful you are following!